Conchas from Mi Pueblo Supermarket! What I found out in my research was that Jessica Resendiz of Raggedy Tiff, Alicia Becerra of Alicia’s Delicias and Karina Jimenez of Viva Los Cupcakes – all in California – had created a Change.org petition back in July to establish a National Concha Day on December 8th! After gathering 5,000 signatures, the petition would then be sent to Governor Jerry Brown and 8 senators to request this special date become reality. But wait a minute…maybe I should explain what a concha is and why this is important before going any further! Also called pan dulce, a concha is Mexican sweet bread. It is recognizable by its large shell-like shape. In fact, concha means “shell,” and the top of the bread has a sugar shell pattern on it. This bread has a “light” sweetness to it…much different than a donut or other pastry. 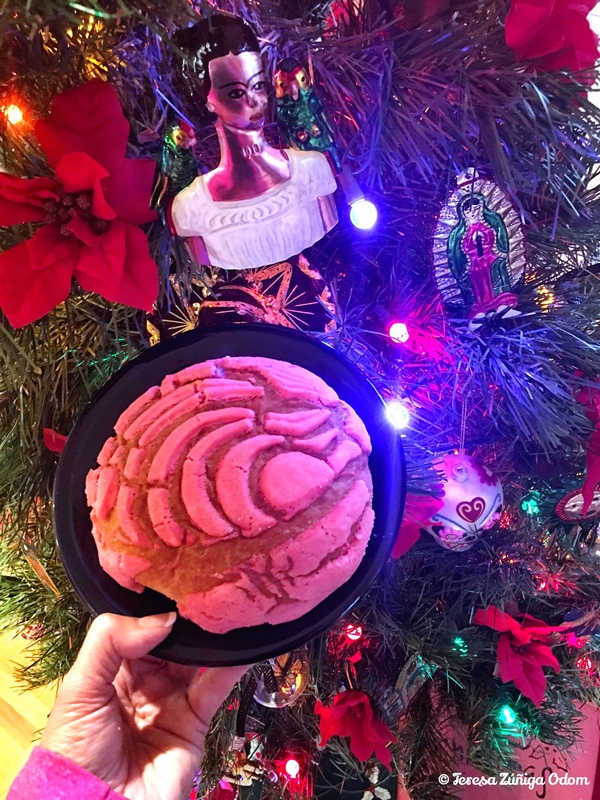 Buying a bag full of these conchas from Mi Pueblo Supermarket’s extensive bakery in Homewood is always a treat because they look so beautiful in the bag! I generally select every color they have too. Grab a cafecito and you have a delish breakfast or late brunch on a Saturday or Sunday, although traditionally a concha is eaten with a cup of hot chocolate! Of course, having a National Concha Day would not be just about the bread…it’s more about a recognition of Mexican culture and traditions. I’ve seen artists online who use the concha as an art form, creating earrings, necklaces and bracelets with this iconic bread on them. I’ve also seen my share of t-shirts with funny slogans on them like “Let your conchas be your guide” and “don’t be self conchas!” I may need to order one of those! The concha is just such a mainstay in the Mexican culture and was influenced by the French, even the French occupation ended with the Battle of Puebla, better known as Cinco de Mayo. 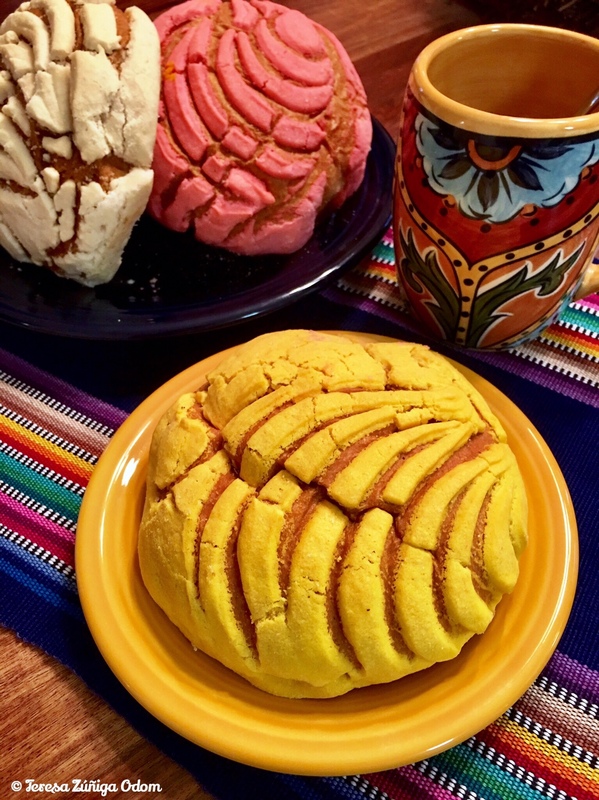 As the petition states…”The creation of a National Concha Day would be a fun and exciting way to honor the Mexican pastry and its culture. Such a day would not only bring smiles to people’s faces, but also create cultural awareness of our customs and traditions.” Plus…they are delicious!!! I signed the petition today and they are so close to getting those 5,000 signatures! If you’ve enjoyed a concha and love them and feel so inclined, hop on over to change.org (click here) and add your name to the petition. Maybe this time next year it will be official and we’ll be saying a la Oprah…”you get a concha, you get a concha…everybody gets a concha!” Meanwhile, tomorrow I’ll be having coffee and a concha and celebrating! The pretty pink concha set against my Mexican Christmas tree this evening! 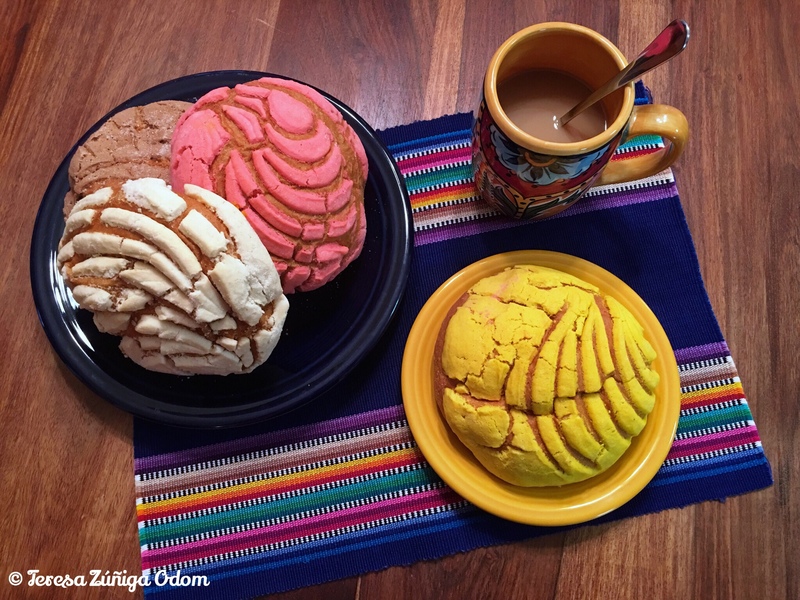 This entry was posted in Food, Mexican and tagged Alicias Delicias, Conchas, Mexican bread, Mi Pueblo Supermarket, National Concha Day, pan dulce, Raggedy Tiff, Viva Los Cupcakes on December 8, 2017 by Southern Señora.